The Good Hope Lions Club recently donated $1,000 to the Cystic Fibrosis Foundation. Pictured is Chyane Collins and Jim Garland. 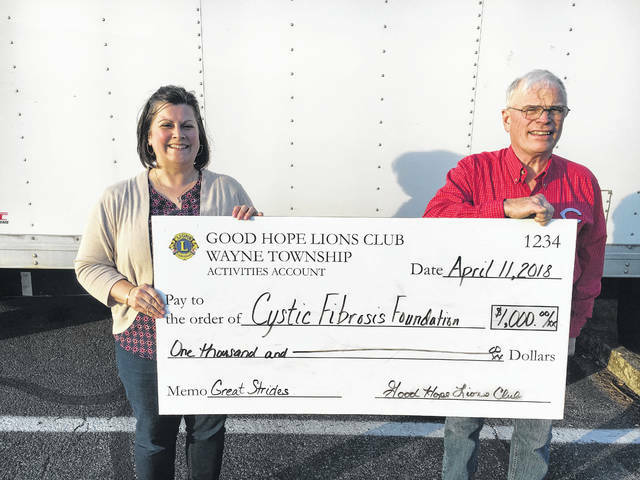 https://www.recordherald.com/wp-content/uploads/sites/27/2018/04/web1_CysticFibrosis.jpgThe Good Hope Lions Club recently donated $1,000 to the Cystic Fibrosis Foundation. Pictured is Chyane Collins and Jim Garland.